Congratulations, America! You have more lawnmower deaths than anywhere in the world. Likewise, cheers to Madagascar on the lemurs. 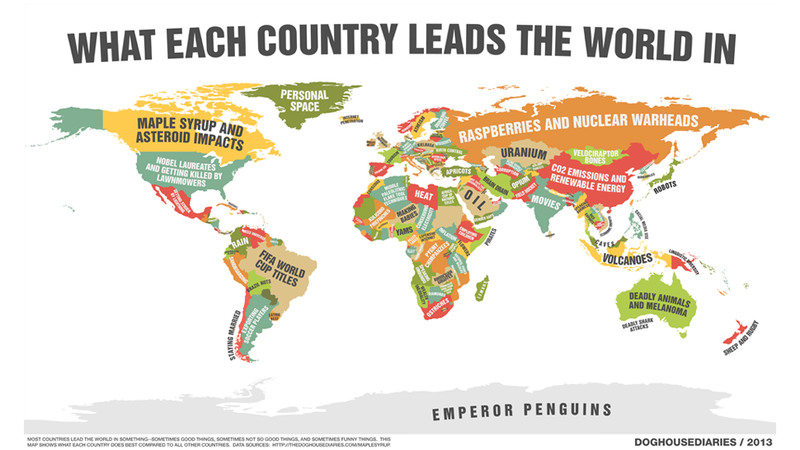 It turns out that if you look hard enough, every country is the best at something. And this wonderful map from Doghouse Diaries looks very, hilariously hard.